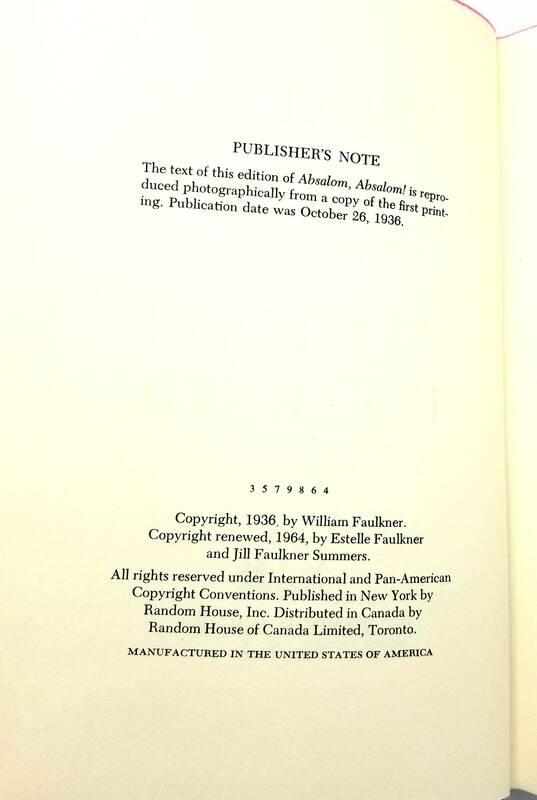 Description: Copyright 1964. 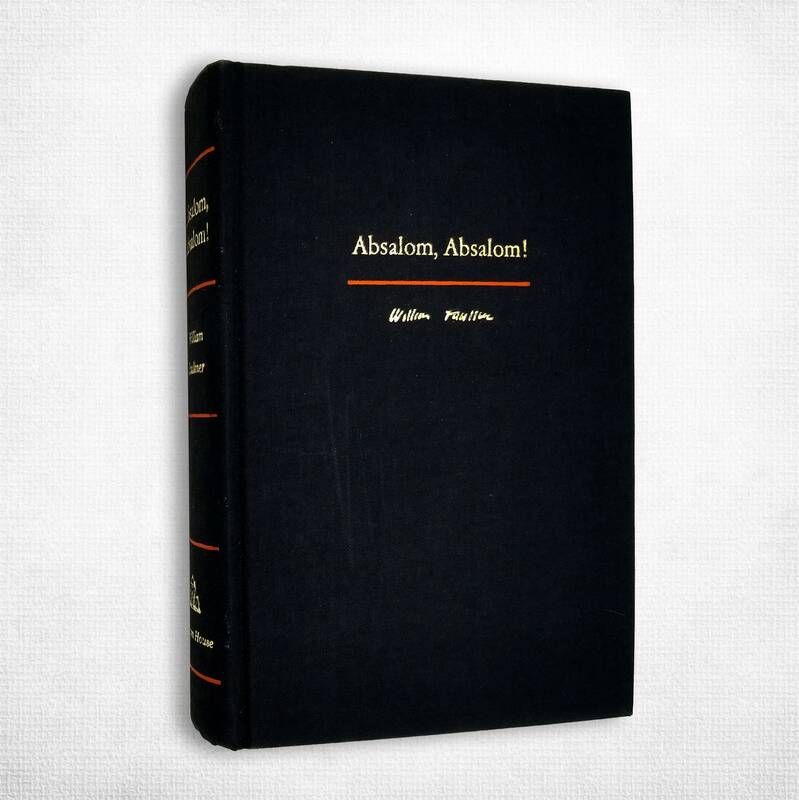 Third Printing of an edition that is described in a publisher's note: "The text of this edition of Absalom, Absalom! is reproduced photographically from a copy of the first printing. 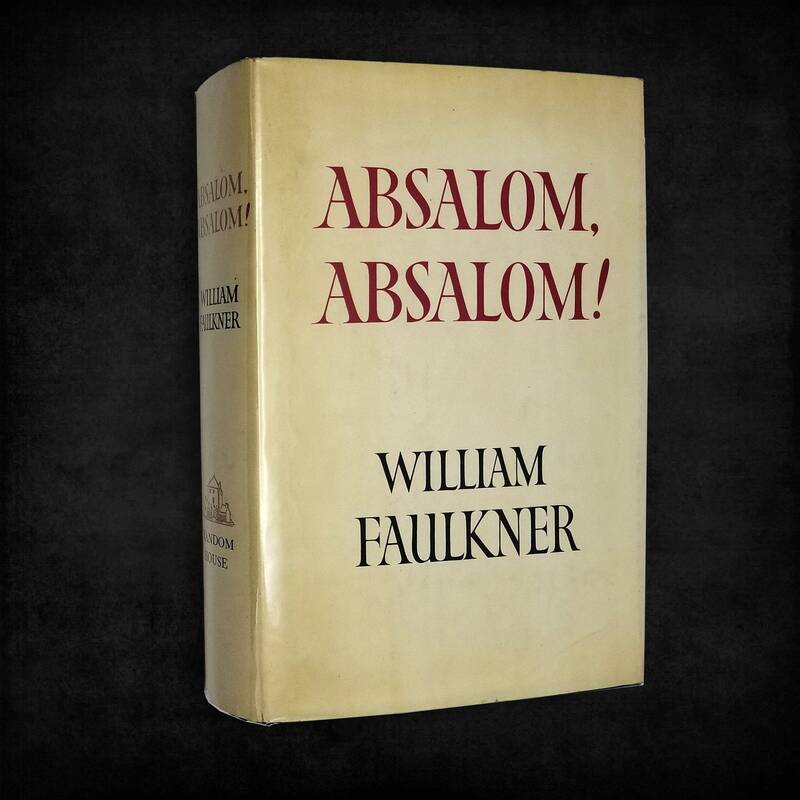 Publication date October 26, 1936." Black cloth boards with gilt and red impress. Clean. Red dyed top edge of text block. A couple small spots of discoloration on the fore edge of the text block. 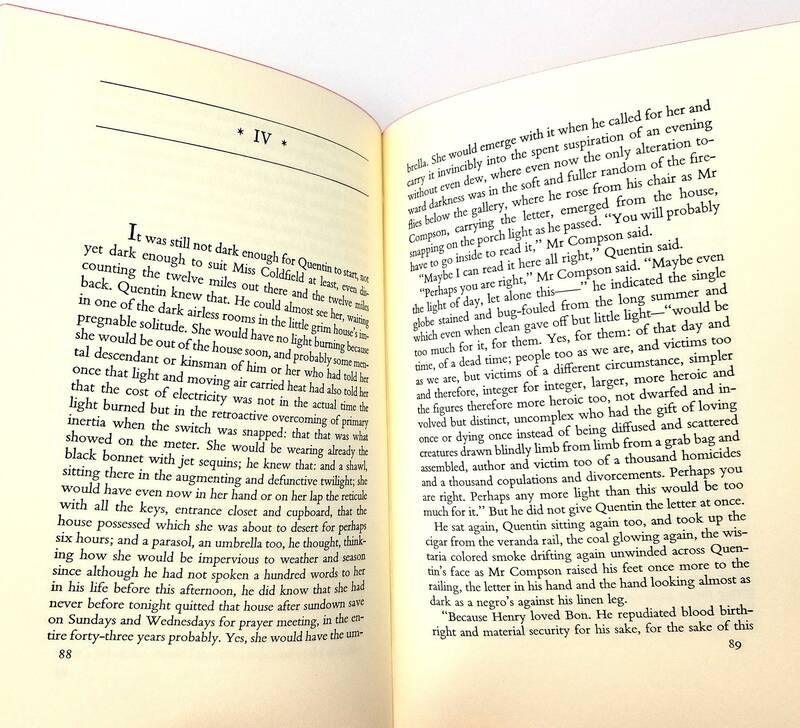 Dust jacket has a 1.5cm closed tear on the rear panel's bottom edge; general light toning; light surface and edge wear; slight fade on spine; price of 6.95 on front flap. DJ is in an archival mylar sleeve. Includes the fold-out map after the last page. Size: 8 x 5.25 inches.